Can You Learn How to Make Iced Coffee at Home Like a Pro? To directly get to the point, let’s just answer this one directly: yes you can. You can learn to make iced coffee at home which is just as fancy and perfectly balanced as the ones served in places like Starbucks or Dunkin Donuts. Coffee has many health benefits, but most of time, and especially during the warm season, hot coffee isn’t that appealing compared to a tall glass of iced coffee. It’s true that the cold variety tends to also be greatly enriched with calories from sugar, syrups, flavorings, cream or milk foam, but an occasional indulgence isn’t the end of the world. If you ever wondered how to make iced coffee at home like a pro, here is everything you need to know on the subject. It’s perfectly fine to use cold brewing when making coffee at home, and then using the already cold coffee for making the iced coffee. If you haven’t tried cold brewing before, you should know that it’s regarded by many as being an even healthier version of coffee; while as far as taste is concerned the specialists view it as being not necessarily better or worse than the regular cup of joe. It’s true that cold brewed coffee loses some of the depth of flavor which hot coffee offers, but it’s also less bitter and less acidic, making it a better match for the creamy ingredients which go into an iced coffee. If you’re wondering how to make iced coffee at home using a cold brew as the base, don’t worry, the whole process is very easy, it just takes a while since the coffee must be steeped for a long time before it will be ready. Here is a simple guide on it from the Smitten Kitchen. Of course, there’s also nothing wrong with starting with your go-to cup of mocha and waiting for it to cool. We’re betting you didn’t expect to hear this on the topic of how to make iced coffee at home like a pro. It’s true that the higher the quality of the coffee, the better it will taste, but that applies mostly to the Arabica versus Robusta choices of coffee. Arabica is the better tasting, but there are many varieties of Arabica instant coffee, so there’s no fret. Also, using a filter or a French Press or a coffee brewer of any kind will of course yield better results than the instant version, but that applies mostly to hot coffee. Iced coffee is mixed with so many other ingredients, that it becomes closer to a smoothie or a desert than to actual coffee. So even if you don’t own a Keurig to make your hot coffee like a pro, you don’t need to worry about making iced coffee taste just like the one from a fancy coffee shop. Besides the whipped cream or the ice cream float, flavorings are the best things that ever happened to iced coffee. Here’s how to make iced coffee at home with the best additions possible: try a few drops of vanilla extract per glass, or a dash of cinnamon, or a dash of nutmeg. 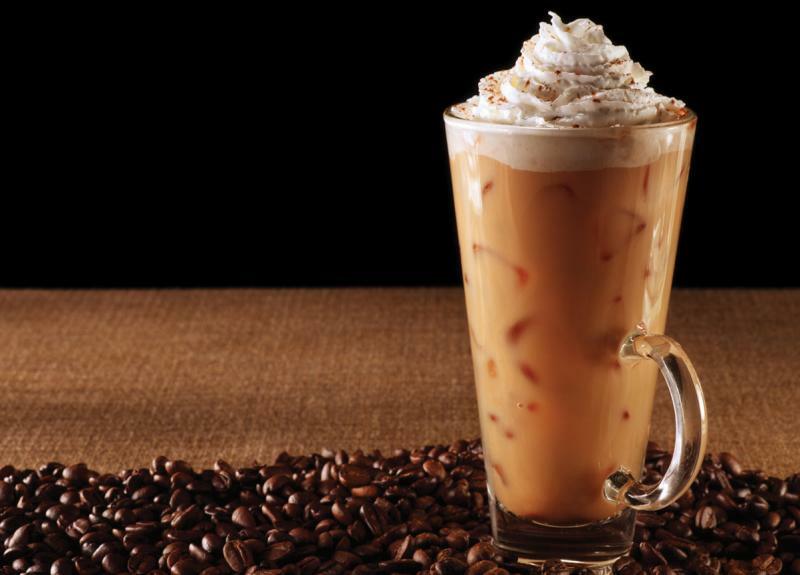 Another great twist for those who are open to trying new things is the addition of ginger to iced coffee. When you’re using dry spices, you can add them directly to the dry ground coffee in order to include them in the brewing process and extract more flavor out of them. When using liquid extracts (like vanilla or a few drops of coconut extract or almond extract), stir them into the coffee base before pouring it into the glass. Another thing to take into account is dropping a scoop of vanilla ice cream into the glass, instead of the ice cubes, or even using a blender to mix the ice-cream and the coffee together to a milkshake-like consistency. The result will earn you the title of an expert on how to make iced coffee at home. You can also consider adding small amounts of flavored alcohol, like Amaretto (almond liquor), chocolate liquor, Bailey’s, hazelnut of even coffee liquor for a little extra taste. Finish up with a layer of milk foam or cream, and, optionally, top with shaved chocolate or grated orange zest. Your guests will surely be impressed. If you prefer a classic version instead of experimenting, you can try making an ethnic version of iced coffee. The Vietnamese and the Thai iced coffees are the most popular and easiest to make at home. Have fun and good luck. Why Is Coffee Good for You? What Causes “Brain Freezes”? Can You Learn How to Lucid Dream? Kinetic Energy: Learn More by Taking a Look at These Examples How to Make Electronic Music at Home? How to Whiten Teeth at Home and what Is the Cheapest Way? 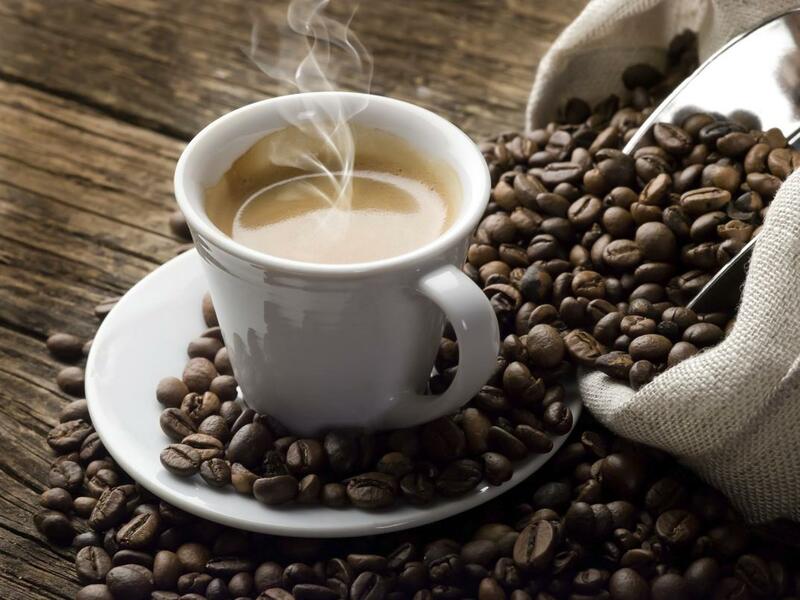 What Are the Health Benefits of Coffee? What Were the Impressionist Painters All About?